Many buildings require the added functionality and flexibility afforded by building access units that are capable of horizontal movement. The movement of building maintenance units is, for obvious reasons, most commonly thought of in terms of vertical travel. 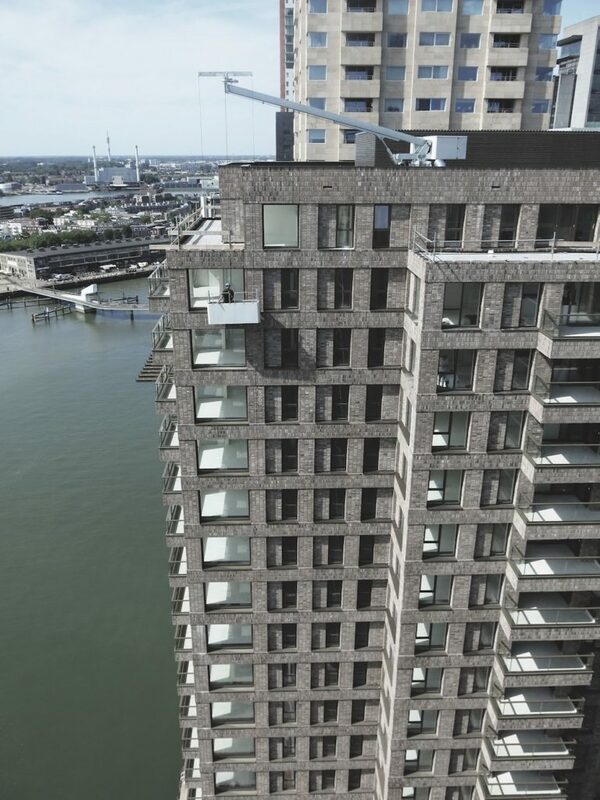 The inherent challenge presented by tall buildings is completing cleaning and maintenance tasks safely and effectively hundreds of metres above the ground. That being said, many buildings also require the added functionality and flexibility afforded by building access units that are capable of horizontal movement. This is especially true of structures with complex architectural forms and challenging features which make a greater range of motion an indispensable quality of any building maintenance unit that will achieve the required coverage and functionality. 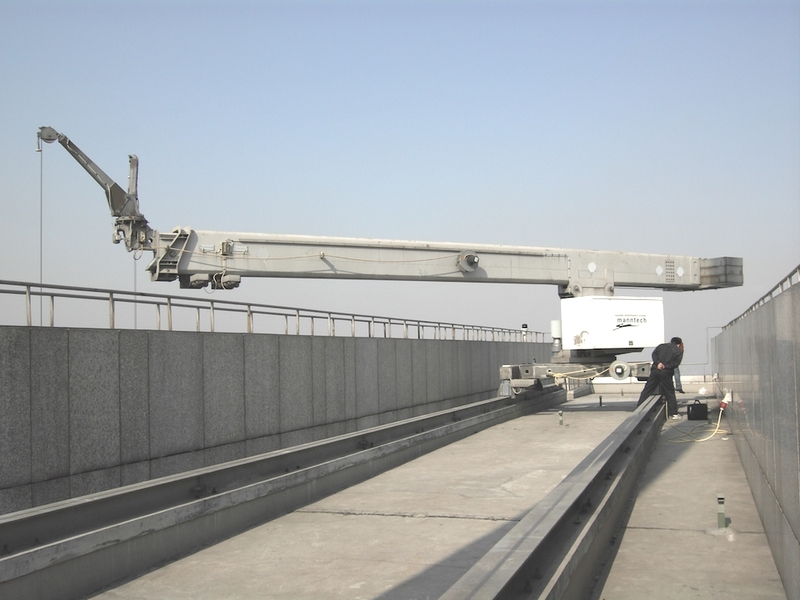 For buildings of relatively low complexity, the required horizontal movement of the building maintenance unit is usually provided by a track on the roof, allowing the unit to travel around the perimeter and for the cradle to descend where it is required. For more complex projects, however, there may not be sufficient space on the roof for this kind of track-based system, or the access challenges presented by the building might make it unsuitable for delivering the required functionality and sympathy with the architectural vision. Horizontal rotation offered by the building maintenance unit itself is commonly referred to as slewing and might apply to either the jib or the cradle. 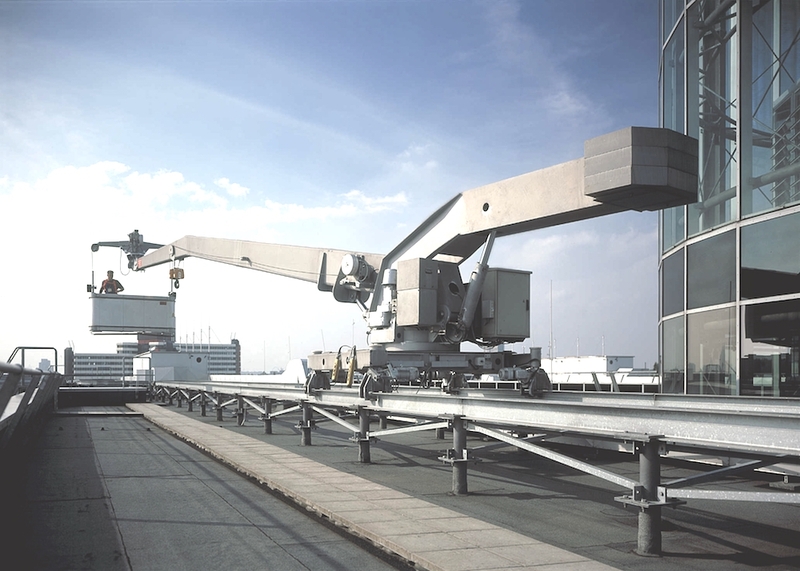 The jib arm or the turret of the BMU will commonly provide horizontal rotation in order to launch the cradle out over the side of the building and return it to the roof, allowing operators to enter and exit safely. In some instances this slewing movement can be used with a stationary BMU, often in conjunction with other systems and features, to provide the required manoeuvrability and coverage. Moving into the more complex slewing options, it is also possible to engineer building maintenance units which are capable of horizontal rotation at the cross bar or spreader bar where the cradle is connected to the jib. This extra functionality provides operators with a greatly increased range of movement and can be a practical solution where access to complex forms and features otherwise presents difficulties. Another category of horizontal movement is provided by telescoping jibs. As the name suggests, these offer impressive outreach capabilities and greater flexibility of use for the jib arm itself. This may often be especially important for buildings with sloping facades or other irregular forms where a range of varied operating positions along the horizontal plane is required to access all areas. An additional benefit is that telescopic jibs can be fully retracted when not in use to offer a more compact unit which minimises space requirements. Another type of horizontal movement at the cradle can be achieved with ingenious soft rope solutions. Utilising special restraints strategically located in the building facade, operators can safely move the cradle itself horizontally across the face of the building facade, independently from the building maintenance unit above. Whatever your project and whatever access challenges it presents, Manntech’s range of innovative products and bespoke solutions can deliver the solution that meets your needs. Contact us to find out how we can help.